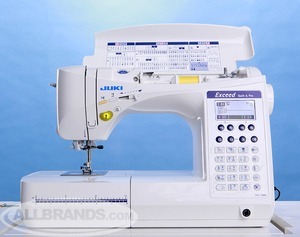 Includes 8" Arm, 8x12" Bed, Knee Lever for Foot Lift 1/2", 16 Styles of 1-Step Buttonholes, 3 Fonts, Box Feed, 37 Straight Stitch Stitch Needle Positions, 9 Feet, Auto Needle Threader & Thread Trimmers, 900 SPM, 22Lbs. * Synchrony Bank 12 Months 0% No Interest Financing, Equal Monthly Pay plus any applicable taxes. Transaction Code 112. Apply online. Synchrony will advise you of your maximum amount or full credit that you can use towards purchase.